Have you considered straightened your teeth but changed your mind because you hated the idea of wearing metal brackets and wires on your teeth? You’re not alone. More adults than ever are looking to improve both the appearance and the health of their smiles through orthodontics. The problem is that, as adults, we have a mature and professional appearance to uphold and metal braces clearly detract from that. There’s a solution to this problem. It’s called ClearCorrect, and our patients who’ve used it have been thrilled with their results. 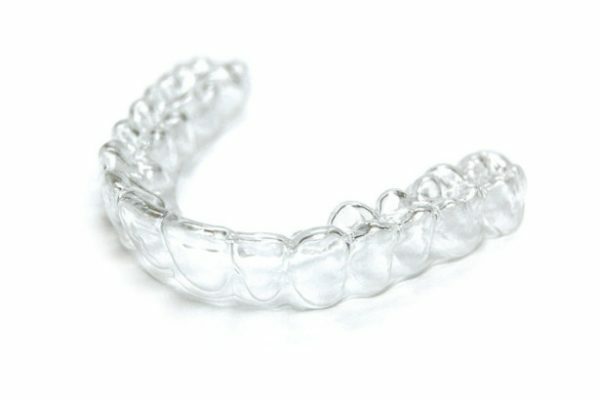 ClearCorrect, sometimes referred to as “clear braces” or “invisible braces,” is an innovative system that uses clear, plastic aligners worn over the teeth to gently but efficiently guide your teeth into their correct positions. No brackets. No wires. No metal. When you decide that you’d like to straighten your teeth, call our Edmond, OK dental office and request an appointment with Dr. Gray. Dr. Gray will examine your teeth and discuss the results that you’d like to achieve to make sure that ClearCorrect is a good choice for you. We’ll take impressions, photographs, and x-rays to send to the lab that will create your aligners. When your aligners are ready, we’ll call you back to our office, and Dr. Gray will show you how to wear your aligners and provide you with the schedule you’ll use to switch them out. You’ll also discuss proper cleaning techniques, and Dr. Gray will answer any other questions you might have. At home, you simply follow the schedule that Dr. Gray prescribed and switch out your aligners as directed. The aligners use gentle pressure to shift your teeth in a series of small changes until your teeth are in their proper alignment. Since you remove the aligners to eat, you don’t have to limit or restrict your foods like you have to with metal brackets and wires. You remove the aligners to brush and floss as well, which means no time-consuming brushing around brackets or threading floss through wires. When the aligners are in place, they are virtually invisible. It’s highly unlikely that anyone will notice you are wearing them – even from up close! You won’t need as many recall appointments as are required with traditional braces, so you can go on with your life with minimal interruption. You don’t have to worry about the discomfort and hassle of broken brackets or wires. ClearCorrect can be used to treat a range of orthodontic issues, including crowded or widely spaced teeth, twisted teeth, and overlapping teeth. If you have severe orthodontic concerns or problems with bite alignment, ClearCorrect might not be the right choice. The best way to find out is to call our office and schedule a consultation with Dr. Gray so that he can examine your teeth and discuss your goals. He’ll let you know if ClearCorrect is the right option for you. Ready to learn more? Call today to schedule your appointment!